Gorgeous! 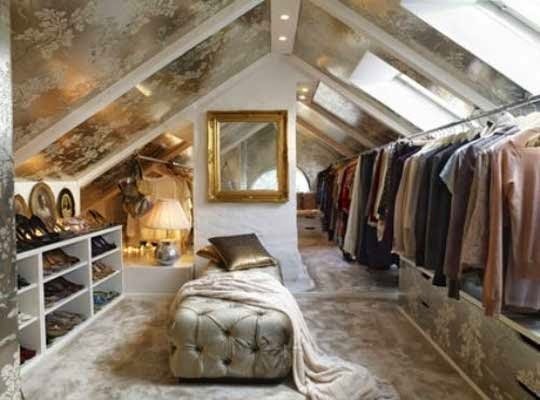 My attic would require a major cleaning to even think about something like that!! While I cannot do this as I have vaulted ceilings throughout, what a perfect idea Terri. You can make the most of your space and I am excited to see the closet completed! If anyone can make that happen it will be you. I love your vision!! That would be heavenly!!! I bought a rug at the Alameda Market and thought of you. I want to have you guys over for dinner...in January? Oh I could live with that. What a great Idea.. Happy Closet day.